He stands ready to defend your house! Tons of fun and excitement included! 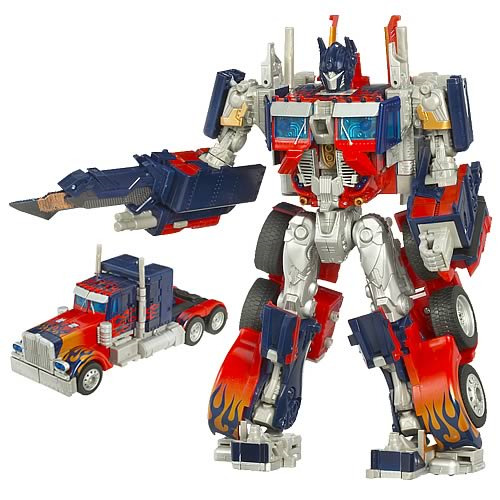 Loaded with action features and showing off his snazzy new paint scheme, Optimus Prime stands over 10-inches tall and is ready to defend justice at your house. Thanks to Automorph technology, this fantastically detailed robot transforms quickly into a truck and back again, just like in the film. The heroic Autobot leader comes with tons of fun and hours of excitement… at no extra charge! Take him home today!